mainly ladies' underwear, encompassing in its broader meaning girdle, threading, corset, and bra. The purpose of such a garment is to adjust the female figure in the chest, waist and hip areas while ensuring comfort of wear and freedom of movement. 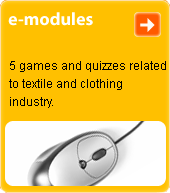 Made from elastic materials, often in combination with a fabric or knit.